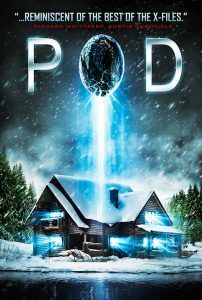 Pod 2015 centers around a brother and sister who become concerned about their brother that has been living in a secluded cabin in the woods while trying to work through his addictions and PTSD. The film has a found footage feel to it though it is not. There’s a lot wrong with this movie. Some of the acting at times isn’t great, coming off as awkward and forced. However, I don’t think these are bad actors. I think it was just bad writing more than anything else. There are times when the acting is really good, really exciting and then the characters go and do stupid things that simply ruin the movie. When it comes to acting, the three main characters have their highs and lows. Martin, the brother with addiction issues (Brian Morvant) has some very intense moments where you can almost feel his frustration and paranoia. His acting is very compelling and very believable. But, then there’s times when Martin does some stupid things and no amount acting can make that go away. The sister Lyla played by Lauren Ashley Carter obviously has some talent but her character is absolutely annoying most of the time. Crying and overreacting to almost everything that is thrown at her just really wears on you after a while. Then we come to Ed, the concerned brother played by Dean Cates and the problems really show in the writing. He comes off as cold, unemotional and dead inside most of the times. Once again, a good story falls to the power of a badly written script. OMG! My brother just walked and saw me sleeping! I better scream like I’m Leatherface and Jason burst in the room! It isn’t the story here that is bad, it’s the script. The story itself is fascinating and has so much potential. This movie could be remade into something terrifying with just a few script tweaks. For starters, The sister Lyla shouldn’t be so damn annoying. I shouldn’t be watching the movie and hoping the pod thing kills her just so I don’t have to watch her do and say any more stupid things. For example, constantly being loud and screaming when you should be quiet so the alien doesn’t find you. Or, getting into a car and not checking the backseat when you just noticed the driver side window is broken. Or, just running down the street in the middle of the night while screaming like crazy. No, you go ahead wait up there while I go down into the creepy basement alone. It’s the actions the characters take that are the biggest problem with the movie. You have to root for the characters and when none of them are really sympathetic or even smart it’s hard to care for them at all. You need to be invested in the characters and each one of these characters were one dimensional stereo-types and that’s a shame. From start to finish the characters keep doing stupid things. They react to things in ways that just piss the viewer off. 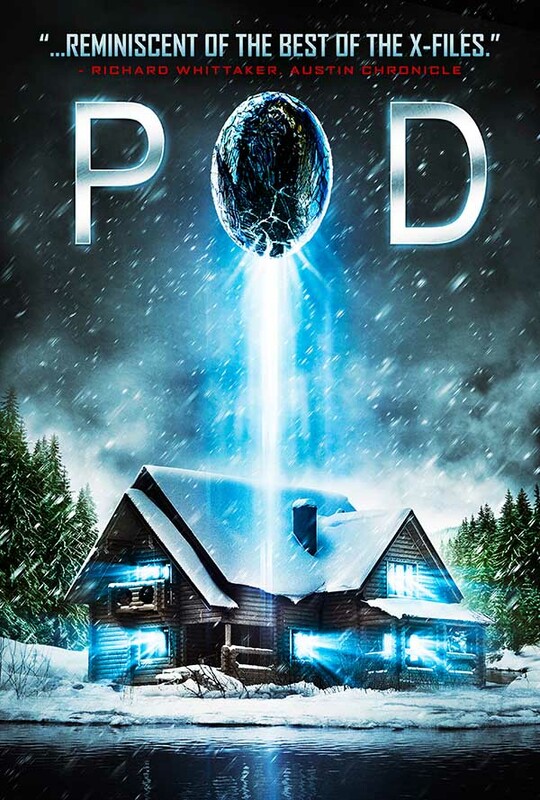 Pod 2015 has so much potential to be a great alien movie and creature feature but at the end of the day this is just another bad horror movie that sadly isn’t worth watching for the one or two scares and shocks it provides. If you like alien movies, maybe you’ll like it? If you like conspiracy theory movies that don’t answer any questions, maybe you will like it? If you like movies that end leaving you with more questions than answers, maybe you will like this movie? However, I can’t recommend this film. There’s just too much it got wrong to make it worth your while in my opinion.